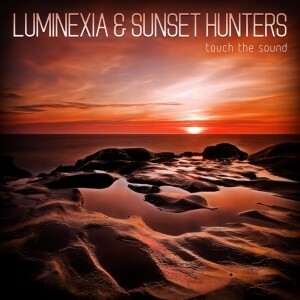 Touch The Sound is a joint release between two closely related Russian projects, Luminexia (Slava Sherstyuk) & Sunset Hunters (Slava Sherstyuk & Natalia Zinovieva AKA DJane Satori). Based in St. Petersburg, these projects aim to infuse high-tech full-on psytrance with a range of moods from haunting and mysterious twilight vibes to radiant morning trance energized with the light of the rising sun. Sunset Hunters also has the addition of live guitar to add an exotic dimension to their sound on this release. Mastered by Syncmasters Studio. Cover design by Basilisk using a photo by Kyle Kruchok. Released in 2011 by Ektoplazm. MP3 Download | FLAC Download | WAV Download · Download count: 14,327. Keep up Great job Guys. Downloading it & 5 stars from me for Great release. Awesome cover Basilisk! Downloading as we speak. wonderfull work, very good athomsperes and energy inside! Thanks for using my photo – love the tunes as well. Definitely downloading. Thank you all for support!!!! Boom! creativo y fresco !! !mor full pawa for the tribe!!! Все треки достойны похвалы! Спасибо за звук! Успехов в творчестве! I’m open minded to anything, including the use of guitars in a trance project. That said, I thought the soloing on “Solar Eclipse” was pretty distracting and stuck out like a sore thumb compared to the deeper other elements. However, I love the Luminexia tracks! “Magnotech” is very oppressive and cold, and “Space Travelling” is pure, enveloping power! The guitar in solar eclipse is what made the track so good! Great album.